Mercer and Johnson are Brock Johnson and S. Mercer. The duo put their first recordings online for free in June of 2010. They immediately took off to find places that would let them play, as often as possible, logging thousands of downloads and hundreds of thousands of miles. 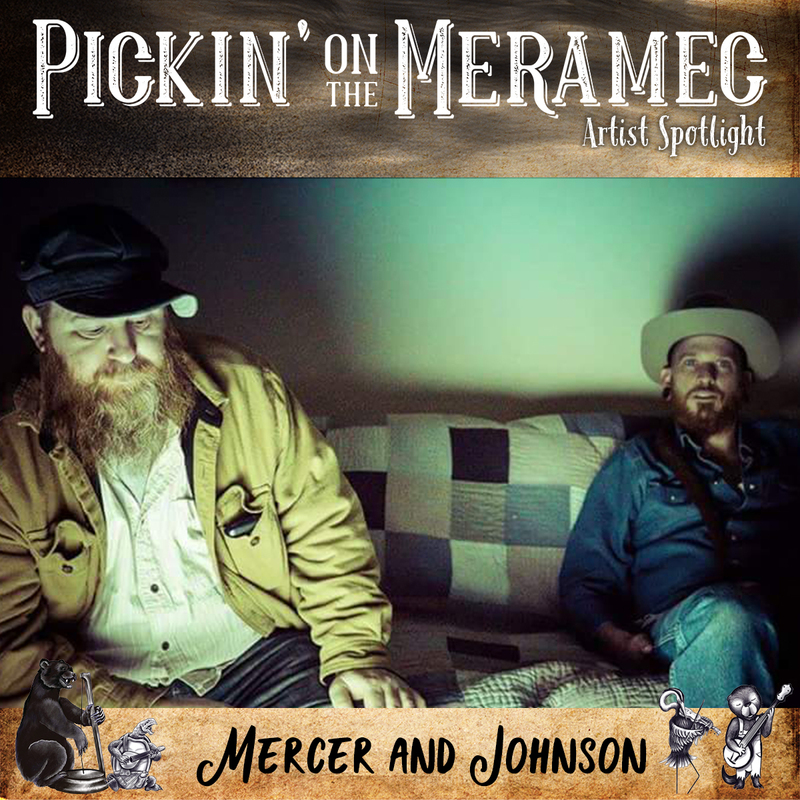 The band has shared stages with, or opened for, established acts and up and comers like Billy Joe Shaver, Hayes Carll, Sara Watkins, the Turnpike Troubadours, Robbie Fulks, Mike McClure, Mountain Sprout, J.P. Harris and the Ben Miller Band. They quickly found out nobody cares who you’ve opened for. The band uses a mix of traditional string band instrumentation on their recordings to craft songs that vary in origin, from traditional-style ballads and up-tempo numbers to songs influenced by singer-songwriters and modern indie rock. Live, the two feature mostly mandolin and bass in a stomping-shouting manner that people find enjoyable, yet puzzling. The puzzle is the mandolin, which they often mistake for a wide variety of other instruments. The two have released several recordings, an out of print cd e.p. called “Oregano”, the digital-only release “Road Noise” a self-titled full length and a full length named “Too”. In September of 2016, with guitarist Chris Gebhardt in tow, a recording named “stories from home” was recorded in Lafayette, LA by (Certified Cajun) Dave Riot. Ben Shank (Cathead Biscuit Boys) played fiddle and a good time was had by all. The result was 9 songs about Life the Universe & Everything with a release date of March 21 2017.